Hooray, the Swedish forests are down with the blues again! You can literally just take three steps from the porch of our summer house and stand completely surrounded by an ocean of blue gems. It’s an August luxury when you live in Sweden. Even Elsa sneaks away on short blueberry foraging tours. You can easily tell where she has been just by looking at her blue stained hands, mouth, knees and … dress. And of course by the big grin on her face when she says: “I found bueblerries!”. We mentioned earlier that we have been baking and eating bueblerries, ehm, blueberries in lots of different ways these last weeks. They have of course been thrown into smoothies, used in tarts, gobbled down by the handfull and sprinkled over our breakfast yogurt. But one of the most fun thing we did was Mini Calzones with ricotta, maple syrup, lime & blueberries. We made this dough, divided it in small cirkles that we filled it with blueberries, lime juice, maple syrup and ricotta cheese, and wrapped them up like calzones. Super cute and delicious. We did half the batch with normal savory filling and half with the sweet blueberry filling. That way, our dinner seamlessly turned into dessert. But now we’re loosing ourselves in the calzones when we should really talk about this cake. We have baked a couple of different gluten free cakes before, but until this day we had never made an almond cake. Today we made three. Think of this cake as a distant relative to a sponge cake, although grain free, dairy free (well, that depends on what you glaze it with), possibly vegan, and much tastier. 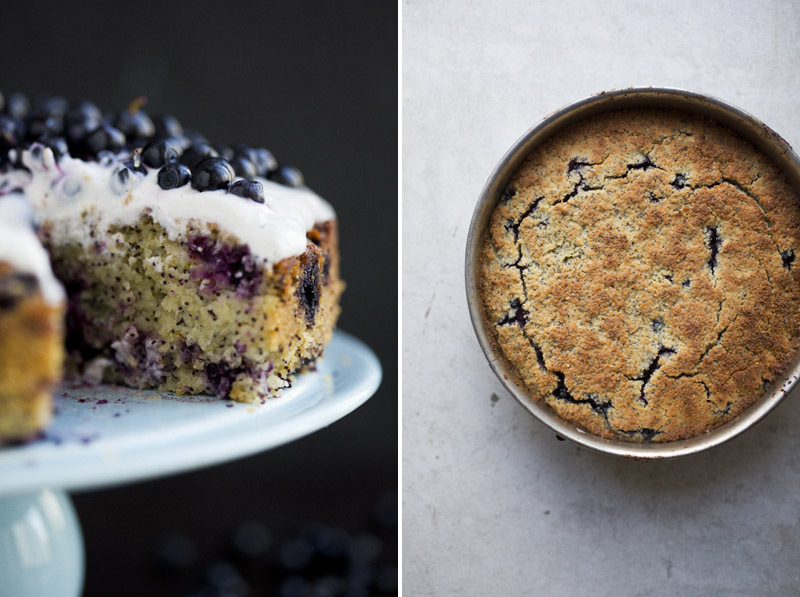 We filled it with lemon to give a sour twang to the richness of the almond flour, poppy seeds because they are so fun to chew on, and blueberries because it would be stupid using any other fruit this month. Inspired by Coco’s and Elana’s almond cakes. Preheat oven to 350°F / 180°C. Combine almond flour, poppy seeds, salt, baking powder and baking soda in a large bowl and set aside. Heat oil and honey in a sauce pan on very low heat until combined. Grate the zest from the 2 lemons and add it to the honey/oil batter. Divide them in half and squeeze the juice from three of the halves into the mixture, saving one half for the glazing. Add the batter to the bowl with the dry ingredients. Beat the eggs and then fold them into the batter together with 1 cup of the blueberries. Stir gently around with a wooden spoon until combined. Grease a 8-inch spring form cake tin, and add the batter to it. Bake for about 40-50 minutes (depending on size of the pan and oven), or until golden on the outside and baked all way through (you can cover the cake with tin foil during the last 15 minutes of the baking time, if it starts looking burned) . Remove from oven and let cool for at least 30 minutes before removing the sides. Meanwhile, start making the glazing. 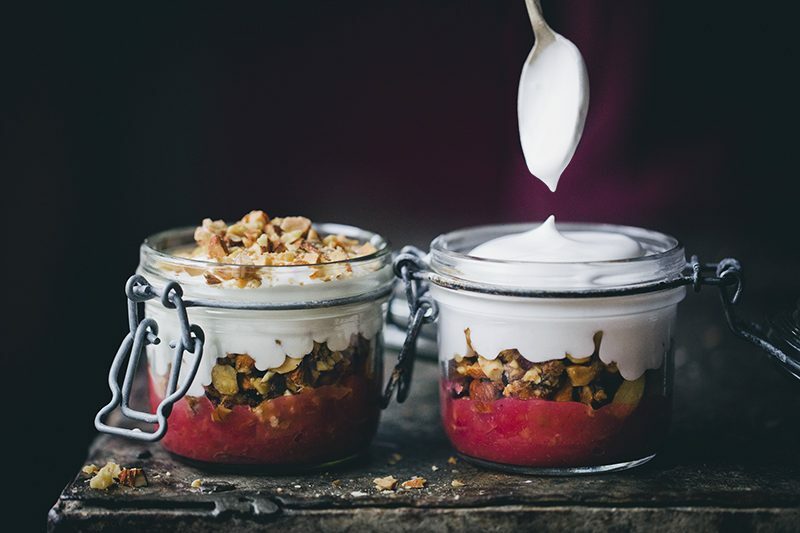 Drain yogurt in a milk cloth or coffee filter for about 10 minutes. This is to make the yogurt less runny. Discard the water and combine the thick yogurt with honey vanilla extract and the juice from the remaining lemon half. Leave to chill in the fridge. 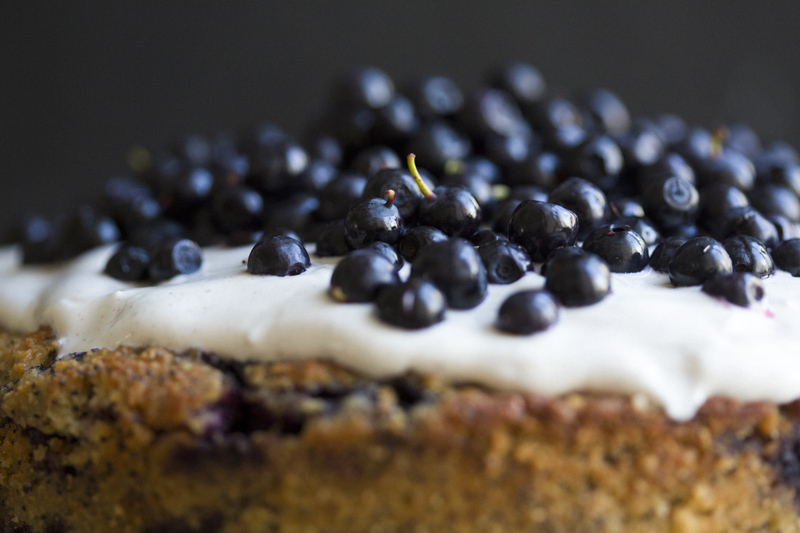 When the cake has cooled completely, cover it with glazing, top with the remaining blueberries and serve. 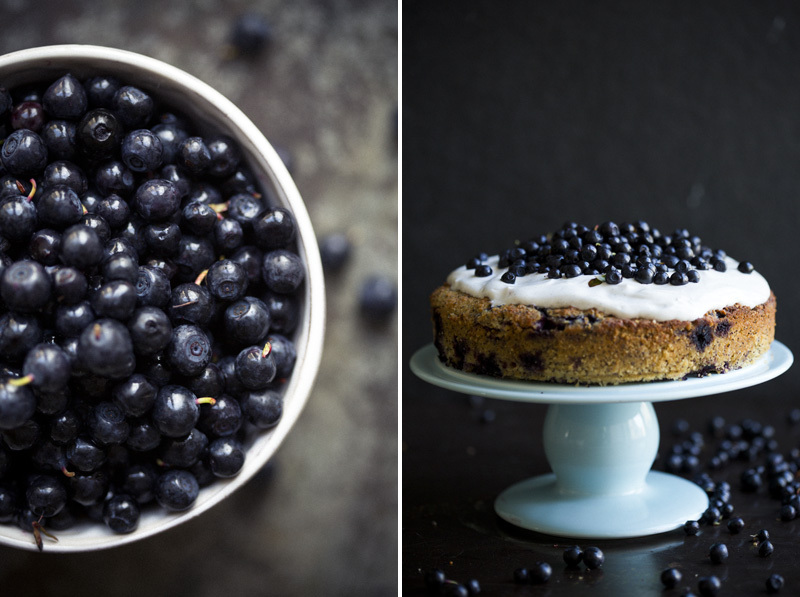 You could also just serve the cake with blueberries and yogurt on the side. * You can replace three eggs with 3 tbsp chia seeds and 9 tbsp water that you combine and let sit for 15 minutes. I absolutely love this recipe! The addition of poppyseeds sounds amazing. this cake is magnificent! i love the combination of blueberries, lemon, AND poppyseeds!! 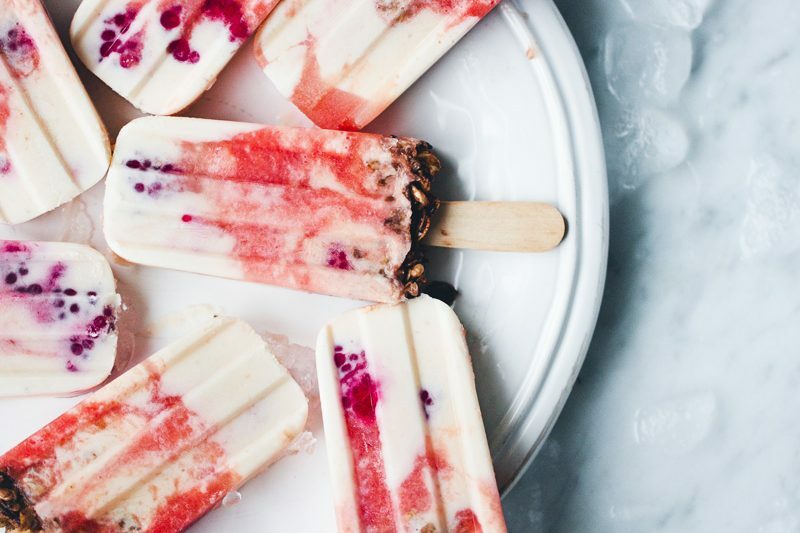 i love that you used almond flour and natural sweeteners! this cake has my name all over it. This looks great! And the pictures are awesome! The cake is a beautiful creation, and I especially like the combination of blueberries in the batter and fresh blueberries on top. please tell me if almond flour is the same as ground almonds? 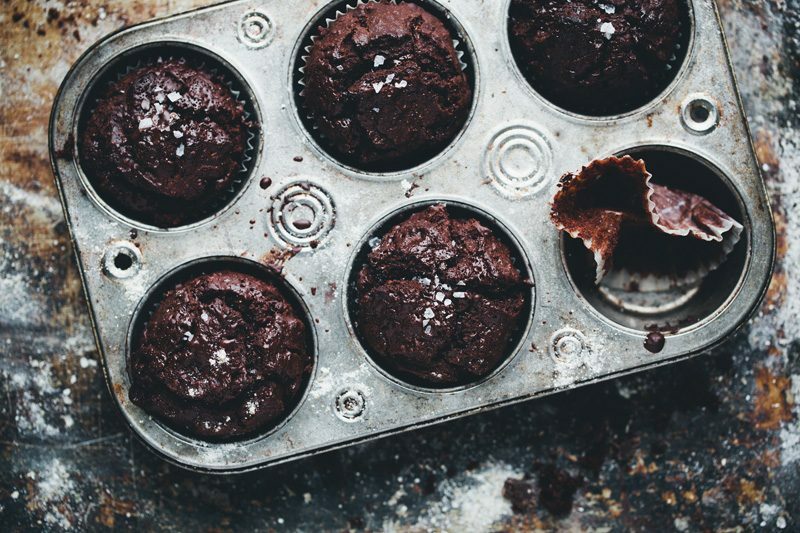 Can I use coconut flour or any other flour instead? Very yummy cake! Can I use coconut oil instead of rapeseed oil or ghee? GORGEOUS cake! I no longer eat grain so this is the perfect dessert recipe for me! It is near the end of blueberry season here in the United States, but I froze a lot of berries that I had gotten locally to use later on this year. I may have to make this cake! I have a number of patients that will be very happy to see this summer pleasure. The cake looks so moist and gorgeous. No matter that it's grain-free: it's an almond cake in its own right. i would love to make this cake but am not gluten intolerant and don't think i want to use so much almond meal... if i were to use some whole wheat flour combined with some almond meal would the cake come out the same? what kind of ratios would work for the two flours? Hi Alex, I made mine with 2 cups spelt flour and 1.5 cups almond. It was great. I cooked it in a bundt pan (not having an 8 inch cake pan) for only 40 minutes and would check it at 35 next time. The wheat flours absorbs more moisture than just almond flour. I also live at altitude in a desert (Utah). This affects the moisture in my baking and timing. Wherever you are it may be different. It is delicious though! I served it will a extra dollop of plain greek yogurt. Hi, I just wanted to add to the discussion. I used 1:1 ratio of almond flour and APF. Because of differences in the hydration properties of both, the cake turned out pretty dry. I'd add 1/2 cup of milk or something next time. It was great otherwise! Amazing! It's so gorgeous and healthy!! I love it!! I must make this! Oh this is just gorgeous! 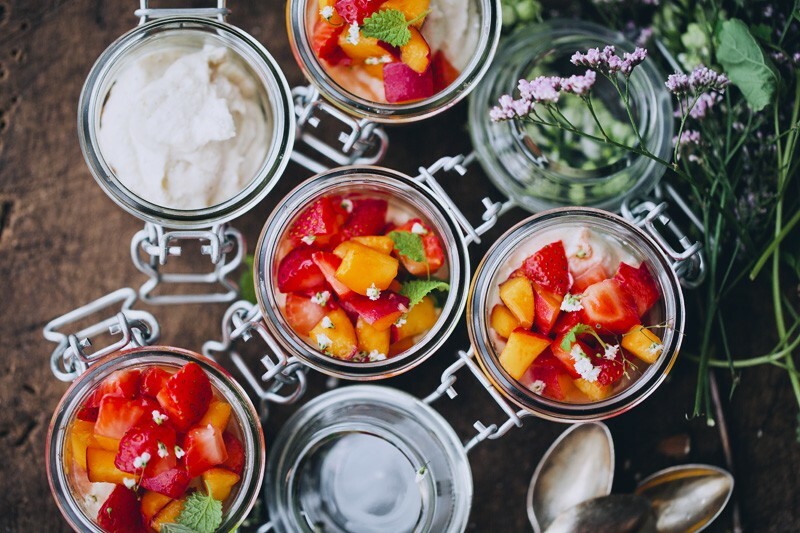 I love your take on dessert....it's always beautiful and healthy. Those are some mighty good looking berries. Can't wait to try this! Thanks! Delicious! I love the poppy seeds. I have some family visiting next month so I think I will try this for them coming. It's probably a little big for just my husband and I! If only blueberries grew here in the very south of Sweden.. That would make me so insanely happy! ( bring some next weekend, Luise? 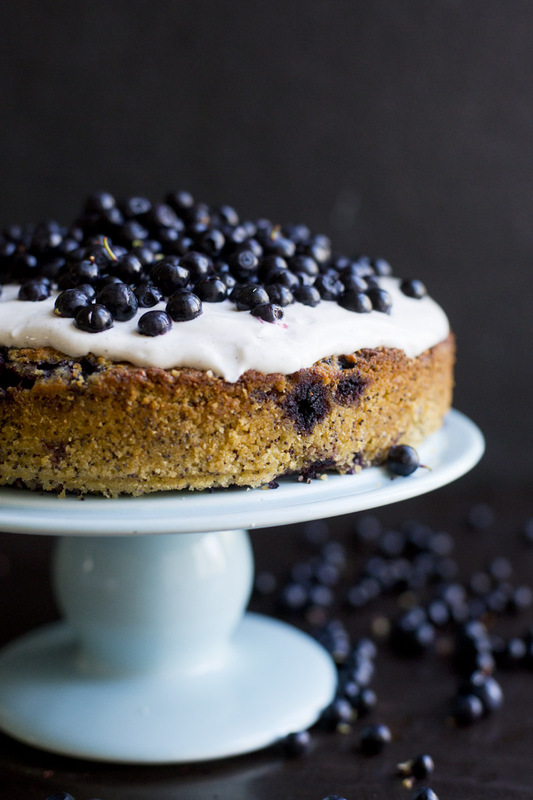 ;) But maybe I can make this cake with black currants instead.. anyway it looks absolutely stunning, like a proud, beautiful model in an old painting. Have a beautiful blue day! 1/2 cup rapeseed oil is not 240ml!! Did you mean one cup (240ml) or 1/2 cup of oil? I need to make this this weekend! Perfect! !